Burger Law has proudly recovered millions of dollars in compensation for car accident victims and their families. We are experienced with working in a multitude of car accident situations including those that result in spinal cord injury. If you or a loved one has been involved in a car accident and are suffering from spinal cord injuries, it’s vital that you get in touch with an attorney at Burger Law so that we can assess and develop a strong case. There are around 12,000 spinal cord injuries per year with the majority of them being caused by auto-related accidents. 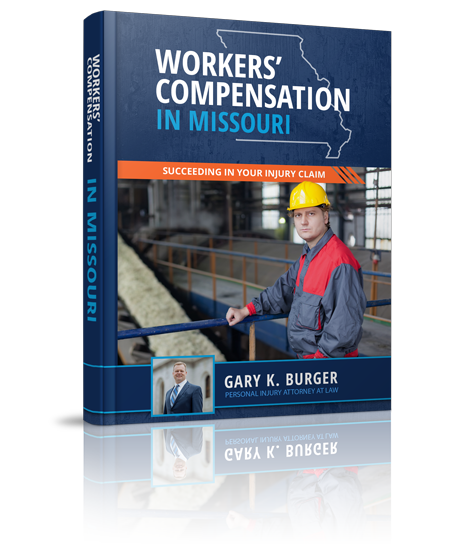 Gary Burger and his associates are driven to help injury victims in St Louis recover for damages that were caused by the negligence of another individual. To receive maximum compensation for your spinal cord injury, contact Burger Law by calling (314) 542-2222 or completing our online contact form. Burger Law’s spinal cord injury attorneys have represented thousands of victims in both State and Federal Court, and we have high success rates in a multitude of car accident areas. When a person acts unsafely, their actions can cause severe damages including financial harm, loss of wages, continued medical care, pain and suffering, and permanent injuries. Gary Burger and associates want to aggressively fight for the compensation you deserve. The spinal cord injury lawyers at Burger Law work on a contingency-fee basis meaning we don’t expect any fee or expense payment from your unless we win your case. Gary Burger and associates are backed by decades of experience, and you can trust that we have the knowledge and resources needed to effectively litigate and recover well for you. Extending from the brainstem to the lower back, the spinal cord consists of small parts called vertebrae which—along with the brain—compose the central nervous system. The spinal cord contains a variety of nerves that are responsible for controlling bodily movements and sensations. Unfortunately, due to its important role in day-to-day functioning, the outcome of injury sustained to the spinal cord can be devastating for the afflicted individual. If you suffered a spinal cord injury that someone else is responsible for, you may be able to obtain financial compensation with help from a St. Louis spinal cord injury lawyer. A capable personal injury attorney could devote the time and resources necessary to achieve a positive outcome for you. After sustaining a spinal cord injury, many individuals find they are unable to live a normal life. This can be remarkably distressing for a person who was previously able to work and take care of themselves, but must now seek continuous medical care due to the devastating impact of an injury. Such medical conditions can leave a person in need of lifelong medical care, which can be remarkably expensive. Individuals with spinal cord injuries also generally have shorter lifespans and are more prone to major depressive disorder than non-injured individuals. Spinal cord injuries, especially severe ones, may result in paralysis. Paralysis is the inability to use limbs and can be either full or partial. The extent of paralysis a person experiences will depend on which part of their spinal cord sustains damage. If a person loses the ability to control any part of their body below the spinal cord injury, they will suffer from complete paralysis. If they only lose function in the affected area, they will only suffer from partial paralysis. Complete paralysis can cause a person to become dependent on others for help and may leave them unable to work or perform day-to-day tasks. A St. Louis spinal cord injury lawyer could help an individual pursue financial compensation for their injuries, lessening their financial burden. How Can a St. Louis Spinal Cord Injury Attorney Help? It is normal to feel angry, powerless and confused after a spinal cord injury, but there are ways to hold the person responsible for the injury accountable. By working with an experienced St. Louis spinal cord injury lawyer, injured individuals could increase their chances of obtaining financial compensation for their pain and suffering. An experienced attorney could work closely with the neurosurgeons, rehabilitative doctors, and therapists treating the injured person to compile important information relevant to their case. The court may then use this information to determine what the long-term prognosis of the injured person will be. Once they are able, injured individuals should consult an attorney who knows how to handle spinal cord injury cases to begin this process. No one should be left to deal with the financial and emotional fallout of an accident they did not cause, and everyone living with a spinal cord injury should be aware of their legal options. Call a lawyer today for a free consultation. Can a Lawyer help with my Spinal Cord Injuries? Our Spinal Cord Injury Lawyers have taken on a variety of back injury and spine injury cases and can help you with yours as well. We know how traumatic a spine injury can be, as we’ve consulted doctors and physicians in our cases to ensure our clients get the full care they need. Your spinal cord injury deserves medical treatment, and you deserve to recover financially for your injury. Never settle for anything an employer or insurance company tries to get you to settle for. You didn’t ask for your spinal cord injury and you shouldn’t have to settle for anything less than 100% of the care you need to recover. If you need help with your spinal cord injury claim, or need an experienced and dedicated St. Louis Back injury Lawyer to fight on your behalf, then speak with our team today. Burger Law offers legal services throughout the Greater Missouri and Illinois region. If you’d like to learn more about spinal cord injury types, what a spinal cord injury is, or anything in between, contact the Burger Law firm today. We look forward to providing you with the highest quality of advice, support, and litigation. Our Spinal Cord Injury Lawyers are dedicated to providing the victims of car crashes with expert legal advice and counseling. If you’ve been in a car accident and believe that your accident may fall under another category, please choose from the below.